The wait is over. The much anticipated usb external floppy drive from Novapolt is now available on Amazon! The Novapolt USB External Floppy Drive is an excellent way to gain access to any information or data located on legacy floppy discs. While technology has moved forward, we at Novapolt understand that there might still be important information stored on these older style floppy discs. The Novapolt floppy disk drive connects to a USB port in your computer, laptop or tablet adding an A: Drive to your computer. Best of all, it is plug and play and no drivers are needed. This must have portable floppy drive is compatible with Windows XP, 2003, 8, 10, Vista/7, Linux, Mac10 OS, 2015 27" retina iMac, MacBook Pro with OS 10.10.5, MacBook air version 10.9.5 and more! 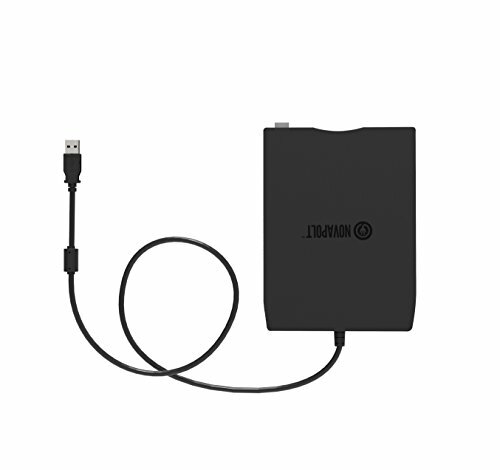 In addition, this drive is 100% compatible with USB 3.0 and USB 2.0 and it can be used with ultra-books, netbooks and PCs! • Ultra slim and light weight case. • Interface: USB (Universal Serial Bus). • Fully USB powered, no power supply needed. • Data Capacity: 1.44 MB (formatted). • Data Transfer Rate: 1 Mbps. • 90 days limited warranty. • When you register your new Novapolt product online within 90 days of purchase, your standard 90 days warranty coverage is extended to 1 year.